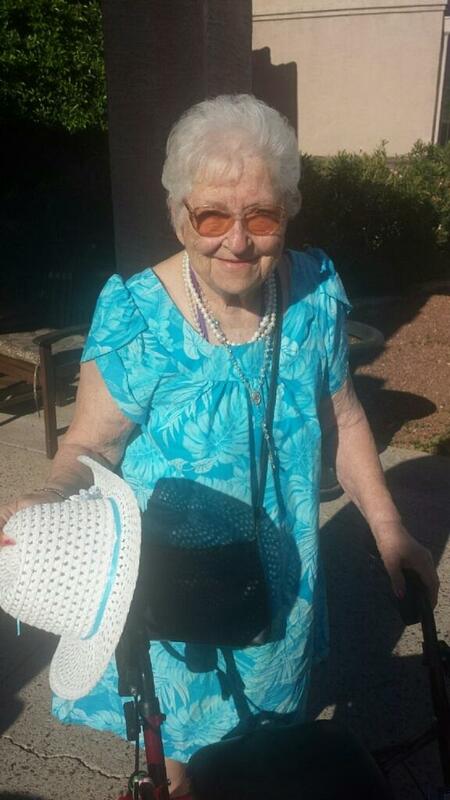 “Ruth H. Erdman, of Glendale, AZ, passed on peacefully on March 26, 2019.She was 97 yrs old. Born in 1921, to Carl & Esther Schmidt, Ruth was the eldest of 7 children and grew up in a loving family on a family farm in rural, Wisconsin. In 1941, at the age of 20 yrs old, Ruth married Harvey A. Erdman, and together they raised their 4 daughters. Throughout her life, Ruth was a devoted Christian who remained steadfast inher faith. For many years she volunteered in her church community and with organizations and hospitals that helped children, especially newborn infants. She was a good friend to her friends and neighbors and upon moving to Arizona, she actively involved in the Red Hat Society social organization. Well-known as an avid gardener, Ruth spent hours and hours successfully growing vegetables and flowers in every neighborhood and home she resided. During the course of her life she lived in several different states including Wisconsin, Montana, Florida and Arizona, but always kept the most affection for the green farmlands and beautiful, changing seasons of Wisconsin. Ruth enjoyed knitting and crocheting and had won past awards for the beauty, talent, technique and creativity of her patterns and quality of her craft. She loved to play cards and board games, and enjoyed reading books and listening to music. She loved feeding and watching the little birds around her home wherever she lived. Ruth was a stylish woman known for her signature hats, and she had a quick wit, independent spirit and no-nonsense personality. She is survived by 1 younger sister, 2 daughters and many, many grandchildren, great grandchildren and great-great grandchildren. In this life she was very loved by those closest to her and she will be dearly missed. A private celebration of life ceremony will be held next month in Wisconsin, prior to her final resting next to her husband at Bears Grass Cemetery in Augusta, WI.